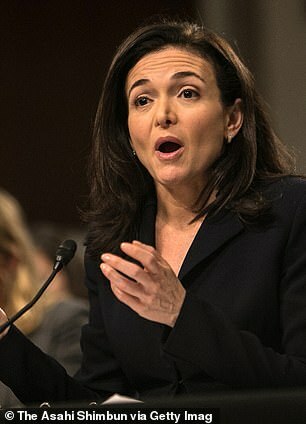 Facebook has admitted that Chief Operating Officer Sheryl Sandberg requested research on billionaire George Soros, despite previous insistence that she was not directly involved in the controversial matter. In a statement on Thursday, Facebook said that Sandberg had sent an email asking whether Soros had shorted the company’s stock after he called Facebook a ‘menace to society’ in January 2018. In previous statements, Sandberg had distanced herself from the hiring of conservative PR firm Definers and related efforts to dig dirt on Soros, which the liberal billionaire’s allies have called anti-Semitic smears. Facebook’s admission came in a statement first reported by Buzzfeed and confirmed by DailyMail.com. It follows a controversy in which Facebook’s Head of Communications and Policy Elliot Schrage published a blog post last week detailing the company’s decision to hire Definers Public Affairs, a Republican-affiliated firm, to research Soros. ‘Mr. 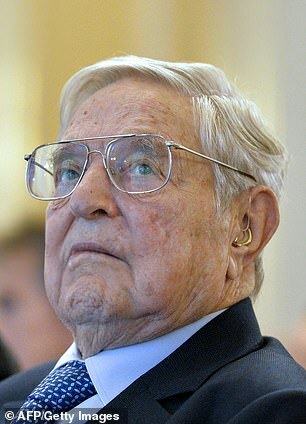 Soros is a prominent investor and we looked into his investments and trading activity related to Facebook. ‘That research was already underway when Sheryl sent an email asking if Mr. Soros had shorted Facebook’s stock,’ the statement continued. ‘As Elliot said last week, we researched potential motivations behind George Soros’s criticism of Facebook in January 2018. ‘That research was already underway when Sheryl sent an email asking if Mr. Soros had shorted Facebook’s stock. Deciders also produced research revealing that Soros had funded several groups in an anti-Facebook colalition called Freedom from Facebook. Patrick Gaspard, the president of Soros’ Open Society Foundations, has called that research a ‘smear’ linked to theories that Soros is a ‘puppet master’. ‘I have great respect for George Soros – and the anti-Semitic conspiracy theories against him are abhorrent,’ she said. Sandberg noted in her statement last week that she is herself Jewish. ‘Being Jewish is a core part of who I am and our company stands firmly against hate,’ she said. A spokesperson for Facebook did not immediately respond to a request for comment from DailyMail.com.